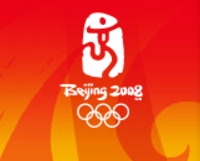 Curious Creative: Are the Olympics even in Beijing? Are the Olympics even in Beijing? Now two stories have broken that discredit some of what we saw in the Olympic opening ceremonies. It seems the footprints we saw in the sky were months in the making special effects for the viewing audience, and now the cute little singer was lip-syncing "Ode to the Motherland". Neither undo to brilliant spectacle that the opening ceremony was, but what they point out is how the web has made everything so transparent. We have an appetite for the truth and if it’s fake chances are it will be found out. Neither Governments nor Traditional Media can spread a message like Social Media can. It’s interesting to see how China is still in the business of control.